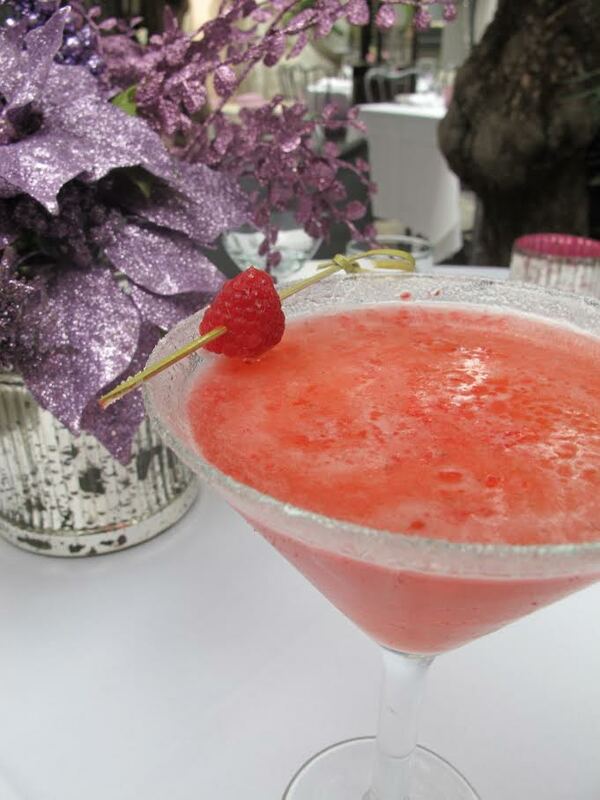 Ring The Holidays In With Recipes From Lisa Vanderpump Sangria! Real Housewife of Beverly Hills Lisa Vanderpump has a sangria line, LVP Sangria, in conjunction with her daughter Pandora Vanderpump and son-in-law Jason Sabo. Recently, the company shared with us some holiday recipes for drinks and food with LVP Sangria, which can be purchased here. Read on to see the recipes with accompanying photos. We must say, they look delectable! 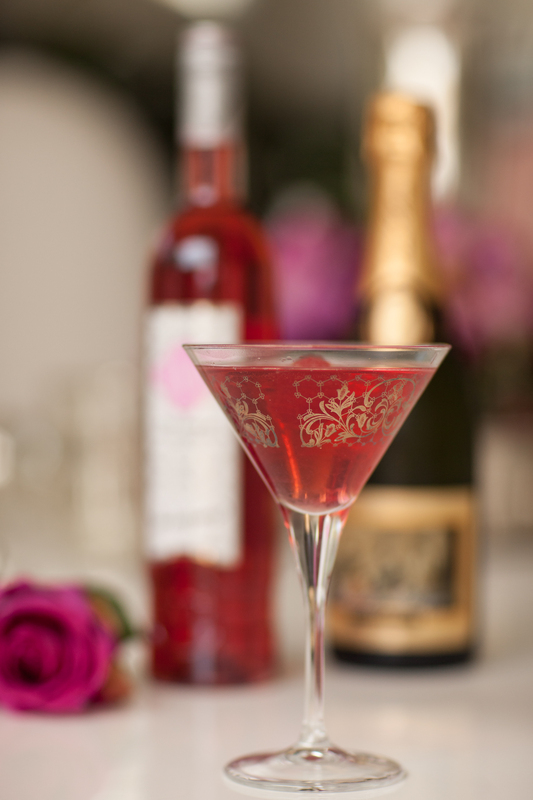 An elegant, vibrant way to serve our LVP Pink Sangria, this cocktail is one of our favorites. Frozen raspberries add color and a nice chill, while the combination of our LVP Pink Sangria, lemon, and rosé Champagne is a light, refreshing way to celebrate any occasion! Place the frozen Raspberries into a Champagne coupe. 2. Pour the Pink Sangria into the Champagne coupe. 3. Squeeze the lemon half into the drink and stir. 5. Garnish with a lemon twist. 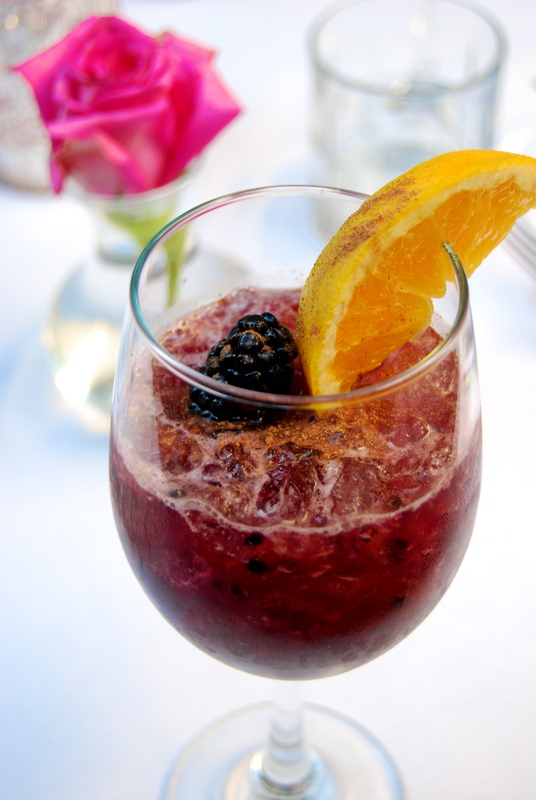 This is one of our favorite ways to serve LVP Red Sangria as it is decadent, rich and delicious. Reminiscent of wintery mulled wine, The Brandywine is a cold version of the classic cocktail that highlights all of those delicious flavors any time of year. Add the orange slices and blackberries to a shaker. 2. Squeeze the lemon wedge over the fruit and muddle. 3. Add the orange liqueur and red sangria to the shaker, with ice. 5. Pour into a snifter, stir with a cinnamon stick. 6. Garnish with an orange slice and enjoy! Pump Restaurant’s signature cocktail, this is one delicious crowd pleaser! With its decadent color and festive sugary rim, it’s perfect for the holidays! Muddle three raspberries and simple syrup in a shaker. Next, add in the Vanderpump Vodka, Pavan liqueur, fresh grapefruit juice, and lime juice. Wipe the rim of the martini glass with a lemon and dip into sugar. Strain the drink into the glass. Finish by garnishing the drink with a raspberry or a lime wedge. These delectable little bite-size treats are our answer for any holiday gathering. Perfect hors d’oeuvres for a holiday soirée or as a quick snack before your giant festive Christmas dinner, these little guys do no disappoint! Enjoy! Mix the crème fraiche and the sour cream together. Lay out your blinis on a serving tray. 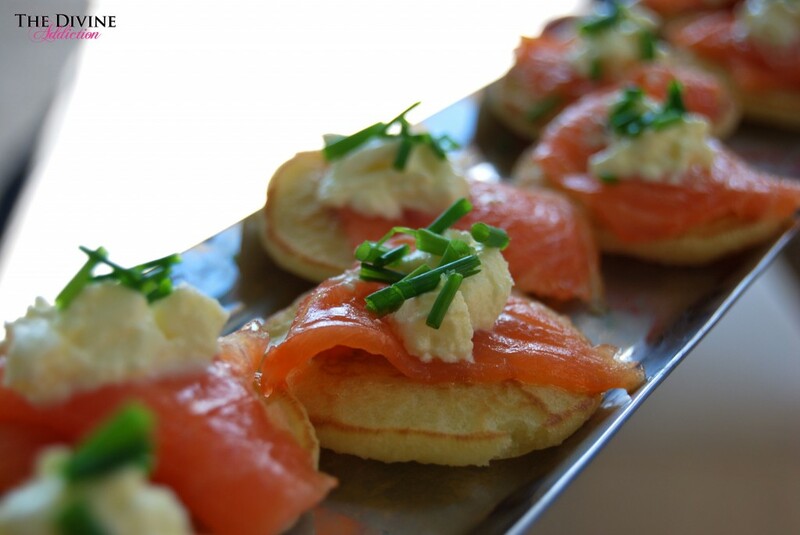 Top each blini with a piece or two of smoked salmon. Top each piece of salmon with a small teaspoon of the crème fraiche mixture. Sprinkle a few chives on top. Crack black pepper and a sprinkle of salt over the blini. Repeat for all of the blinis. 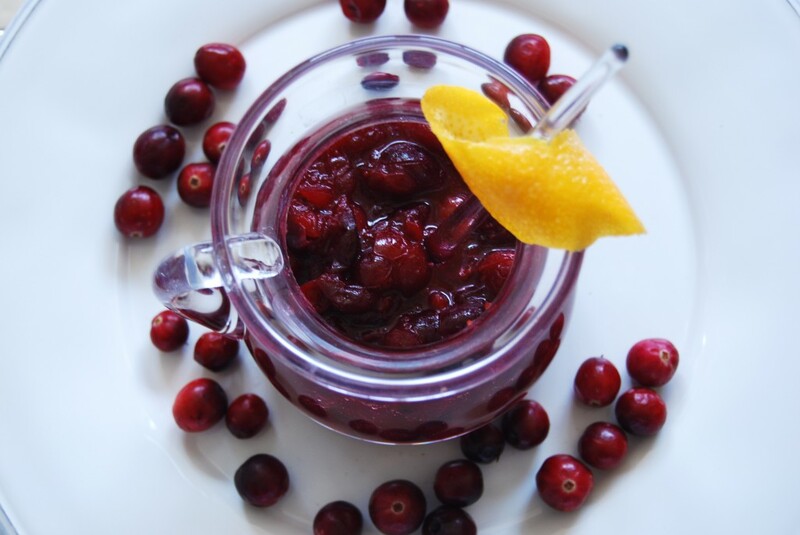 This cranberry sauce is easy to make and a perfect accompaniment to a rich winter dinner. The cinnamon and cloves give this sauce the perfect holiday flavor, while the fresh cranberries are tart enough to complement your heavy festive food. We love to add a splash of Cointreau or Brandy while the cranberries cook, to give the sauce some ‘oomph!’ Enjoy! Add all of the ingredients to a medium non-stick saucepan over medium-high heat. When the ingredients start to steam and come to a simmer, reduce the heat to medium. Let simmer for 10-20 minutes, stirring occasionally, until the cranberries give out their juices and the sauce becomes rich. Add a little more sugar to taste, if necessary. 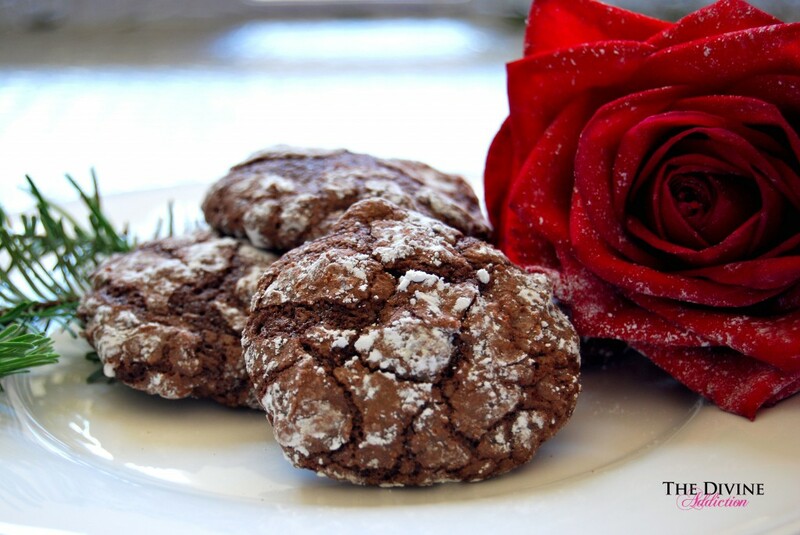 Chewy, rich and delicately covered with powdered sugar, these cookies not only taste amazing but also look like they have just been in a wintery snowfall! Easy to make and essential for any holiday party. Place a heatproof bowl over a saucepan of boiling water. Add the butter and baking chocolate to the bowl and heat it over the water, stirring constantly, until the chocolate and butter have melted and the mixture is smooth. Remove from the heat. In a stand mixer, combine the eggs, vanilla and sugar and beat for about 4 minutes, until the mixture is light and fluffy. Slowly add the chocolate/butter mixture into the stand mixer and beat until everything is combined. Add the flour, salt, cocoa powder and baking powder into the stand mixer and mix until all ingredients are combined. With a wooden spoon, stir in the chocolate chips. Cover the bowl and refrigerate for about 1-2 hours until the dough is hard enough to be able to form balls. Preheat the oven to 325˚. Butter and flour two baking sheets. Place the icing sugar in a separate bowl. Carefully roll a rounded tbsp of dough in your hands until it forms a ball. Drop the ball into the powdered sugar and roll to coat. Place the powdered cookie ball on the baking sheet Repeat with all the dough, spacing cookies about 3 inches apart. Bake for about 15 minutes, until cookies are puffy and the sugar has crinkled apart.